Think you got good aim? 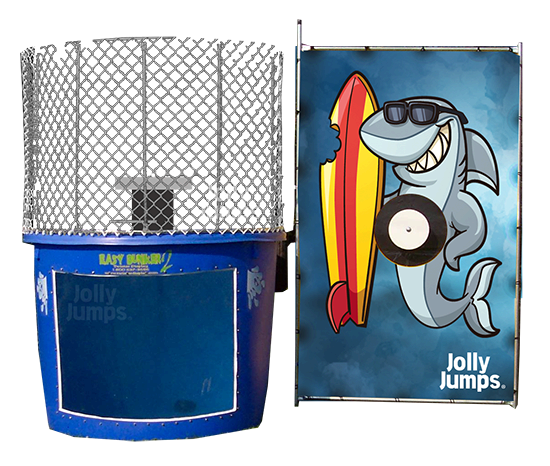 Test your accuracy and dunk a friend with our deluxe dunk tank. Watch the surprise on their face as specators view the splash through the large window in the tank. Safetest dunk tank available, made out of solid resin plastic and brought to your event as a trailered item.